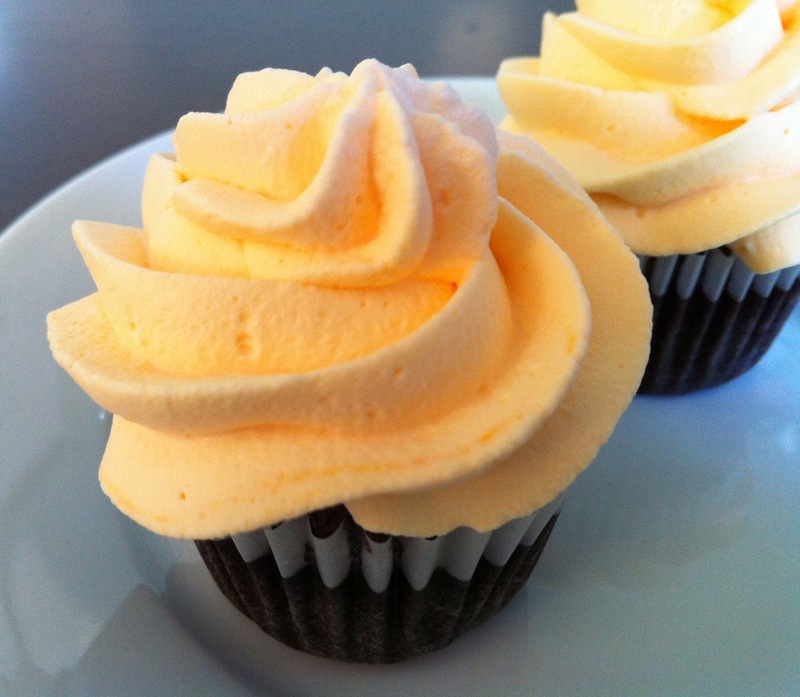 chocolate cupcake with orange whipped cream | what is clara eating today? Mix all the dry ingredients. Mix all the wet ingredients. Mix in the dry ingredients. Line the cupcake pan with liners and fill 3/4 way up. Bake at 350F for 15 minutes. Cool completely before frosting. For frosting, whip heavy cream and truvia. add orange flavor and food coloring and mix well. Pingback: Marge Burkell – Chocolate Cake and Cupcakes to Enjoy Everyday!